Where do I find the References? There are three tabs on the top left when you're inside a guideline, References, Evidence profiles and Recommendations. When you are in Evidence profile view you can add and edit the PICOs /Evidence profiles. Every section has a menu on the far right of the banner. 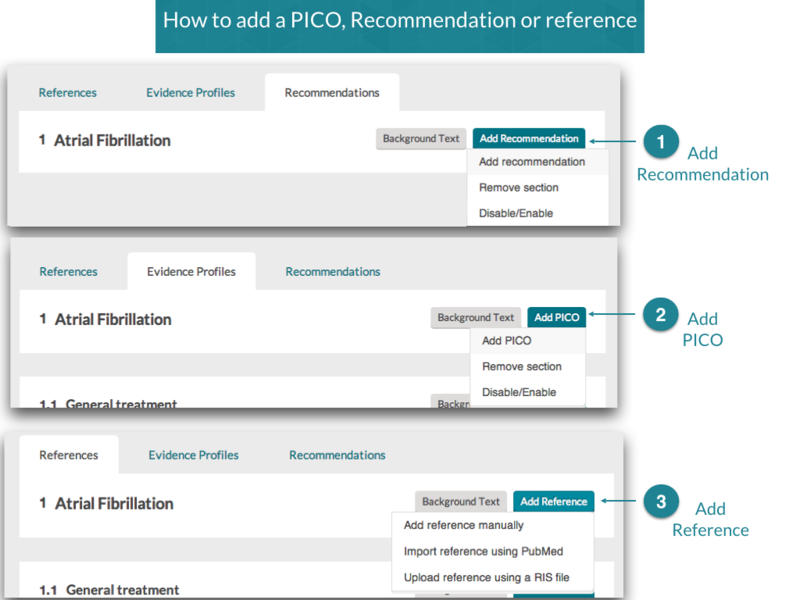 In that menu you find options to add References, PICOs and Recommendations to the section. How do I add a reference to the reference list?